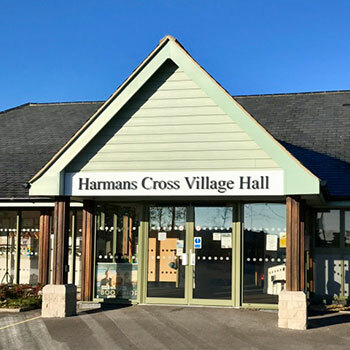 Our modern, spacious hall was opened in 2010 and is located on Haycrafts Lane, immediately adjacent to Harmans Cross Station served by the historic Swanage Railway Line. The hall is a spectacular venue for wedding receptions and parties, and regularly hosts live music events & movie nights. Please explore this website or contact us for more information. One of our biggest and most enjoyable events is our annual Harmans Cross Field Day & Fayre which is held on the August Bank Holiday Monday 26th August 2019, with gates opening at 12 noon. Click on the link to find out more.